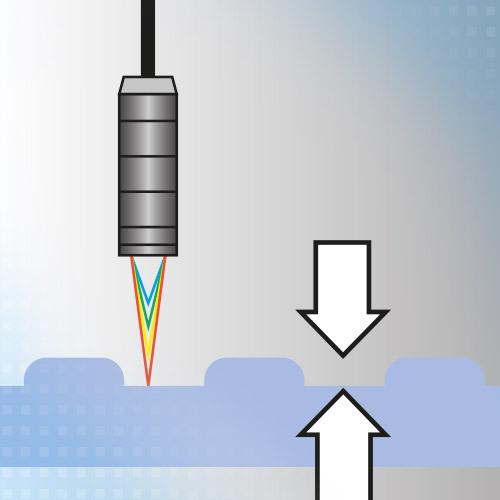 Confocal chromatic displacement sensors from Micro-Epsilon are used to inspect bumps. They generate a small light spot onto the wafer, while reliably detecting the smallest of parts and structures at high resolutions. Therefore, shape and dimensions of bumps are reliably measured for contacting purposes.